Brand Strategy & Design by Hollie Arnett in Wellington, New Zealand. Plagues throughout history had a profound impact on the health and population of society and their effects are long lasting. At the time, these plagues created a series of religious, social and economic upheavals which had a profound effect on the course of history. 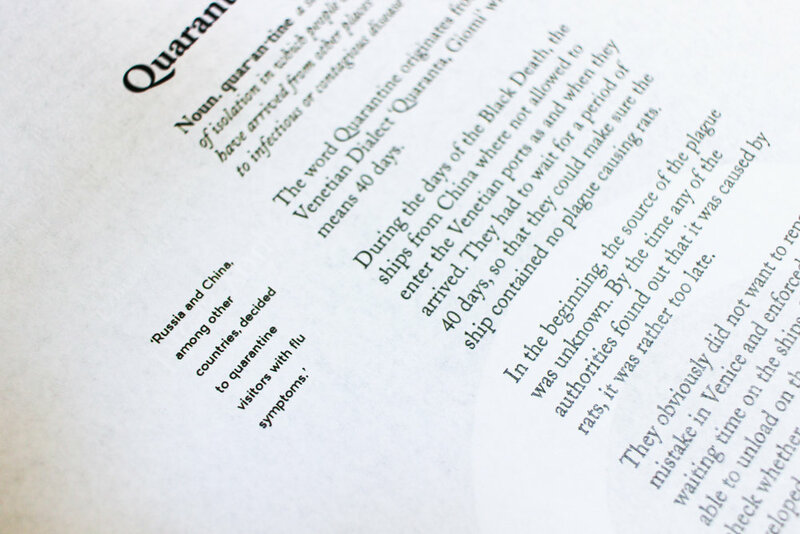 However, the subsequent literary developments resulting from the deadly diseases can still be experienced today. 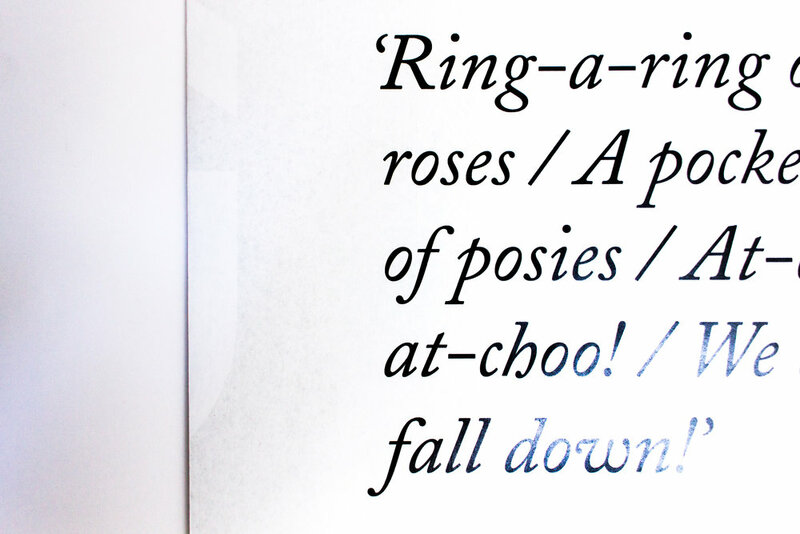 If you find yourself in quarantine, saying bless you, or singing ring-a-ring-a rosie, you will have the plague to thank. 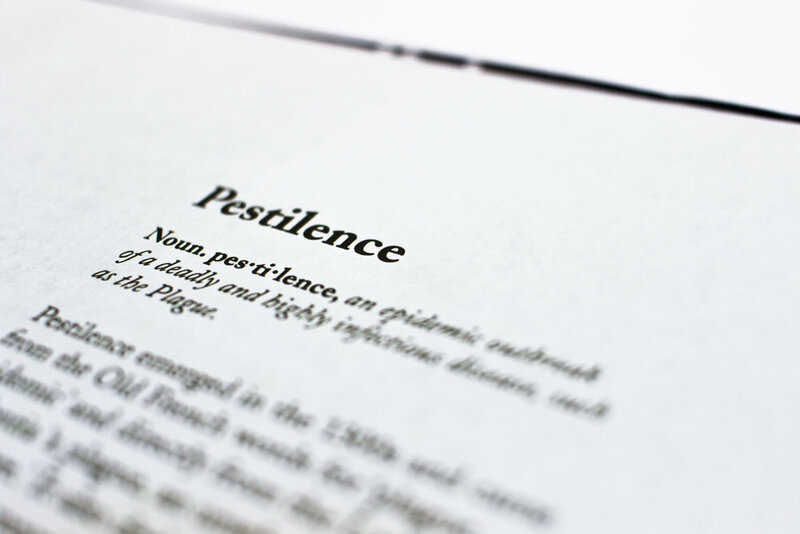 While the plague brought death and destruction with each wave, it also gave life to language. 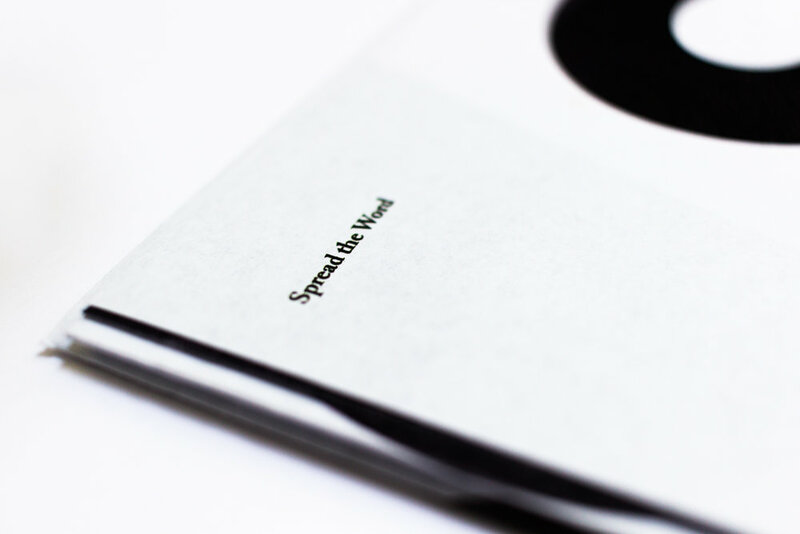 Spread the Word is an interactive print which typographically presents the etymology of several words, phrases and songs all used today which emerged from a plague throughout history. It provides both the historical origins of each item, alongside examples of its contemporary use, in order to inform the reader of the true meaning of these words and phrases they may use in their everyday language. 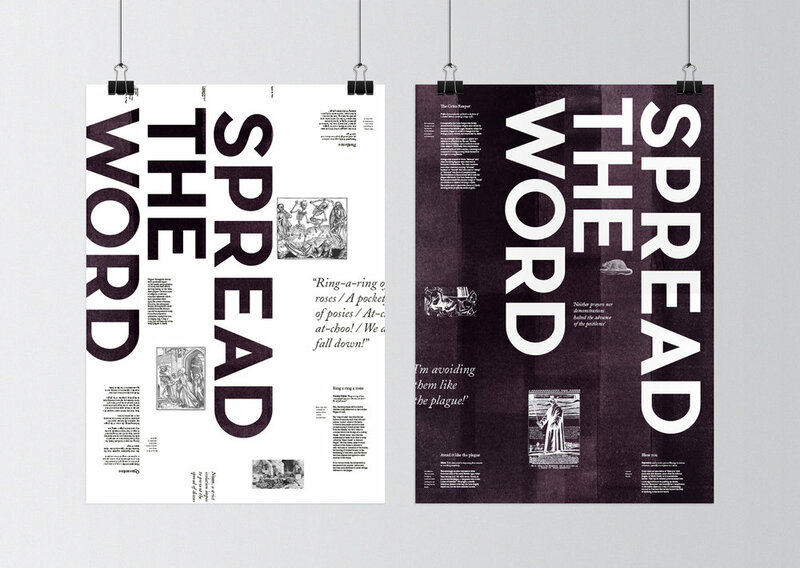 Spread the Word is a fold-out poster which spreads outwards from the centre to reveal different language elements which originated from the plague. 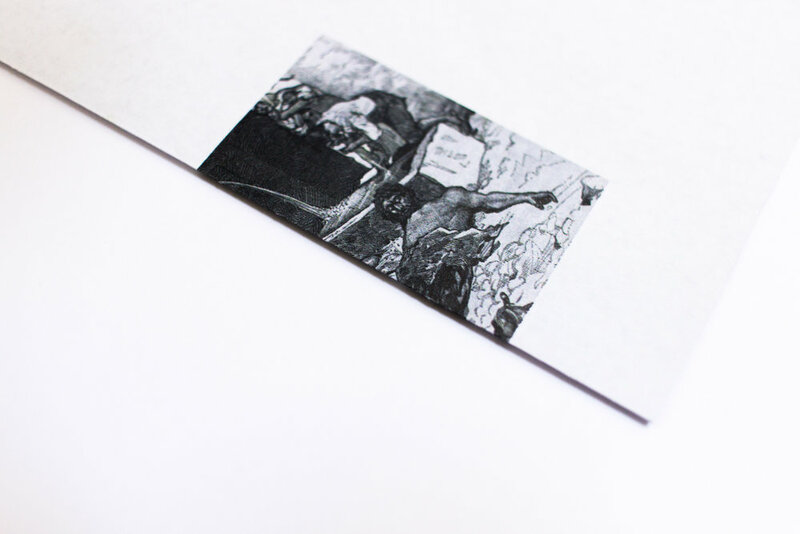 The completed piece can be presented in the folded format, or as a poster on either side. Would you like to work with me on something similar? Become a studio friend & get the insider info on all things branding!